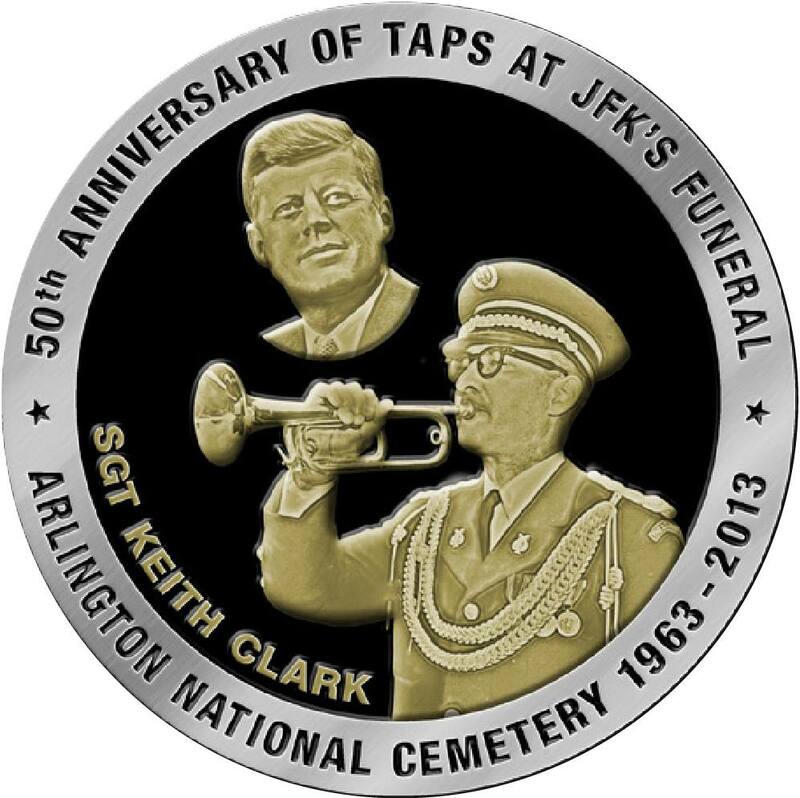 The Newseum in Washington, DC has asked me to sound Taps this Friday at 2:38 PM, the time of the announcement of the death of JFK. Please join me wherever you are in sounding the call for our 35th president. 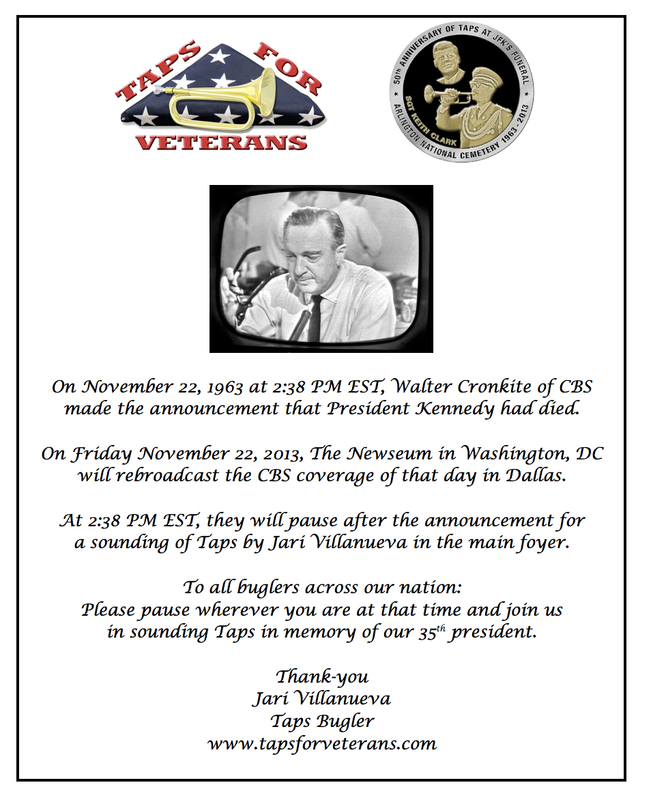 This entry was posted on Wednesday, November 20th, 2013 at 10:53 am	and is filed under History of Taps. You can follow any responses to this entry through the RSS 2.0 feed. You can leave a response, or trackback from your own site.